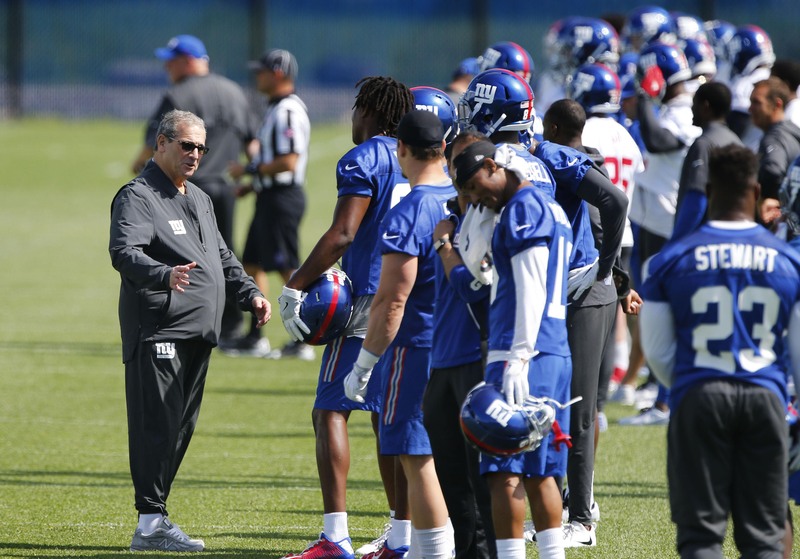 As the New York Giants finished up their offseason minicamp on Thursday, a few scary moments ensued as the practice came to a close. During a running play, offensive lineman Will Hernandez shot a punch at defensive tackle Damon Harrison after he got into a scuffle with another teammate. Harrison promptly ripped off Hernandez’s helmet and swing it at him like a baseball bat. Very uncharacteristic of Snacks but concerning nonetheless. Head coach Pat Shurmur was not happy with the helmet swinging, but knows it was a product of competition. On the other hand, Giants’ new left tackle Nate Solder was injured on the play. A player fell on his leg which got rolled up, causing him to sit out the rest of practice. Solder said he thinks he is fine after got leg rolled up on during Snacks-Hernandez conflict….says of it– "those things happen, emotions rise…and you move on"
Solder hasn’t gotten the leg checked yet, but he was in some pain as he conducted interviews after practice. Although it was only a sore knee from his perspective, you can never be too careful with the man that’s eating up $15 million in cap-space. Solder came over from the New England Patriots after protecting Tom Brady for seven seasons, which attests to his professionalism and unique approach to the game. Any time you can lock up a world-class Patriot, you do it. One of Solder’s best attributes is his durability, as he’s only missed games in one season (2015). He’s been a rock at left tackle for the Patriots, and while he wasn’t considered a Pro Bowl LT, he was an above average option for the Giants. Guaranteeing his presence on game day pushes his stock even higher, as an injured Pro Bowler doesn’t have any effect on the game if he’s not there.